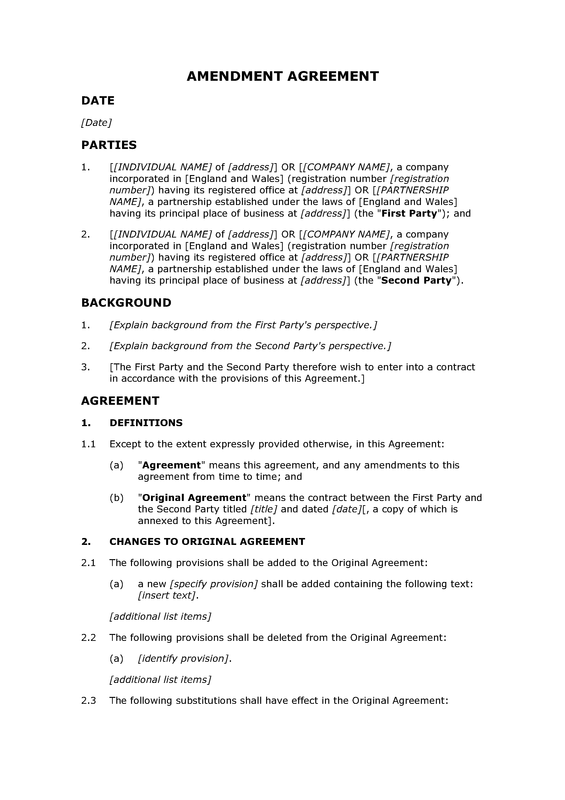 This simple template agreement may be used to amend an existing two party contract in circumstances where the amendment will take place with the written agreement of each of the parties. The types of amendment anticipated in this amendment agreement include: (i) the deletion of provisions from the original contract; (ii) the addition of provisions into the original contract; and (iii) the substitution of provisions in the original contract. Before amending any contract, you should check carefully what the contract has to say about the amendment process. 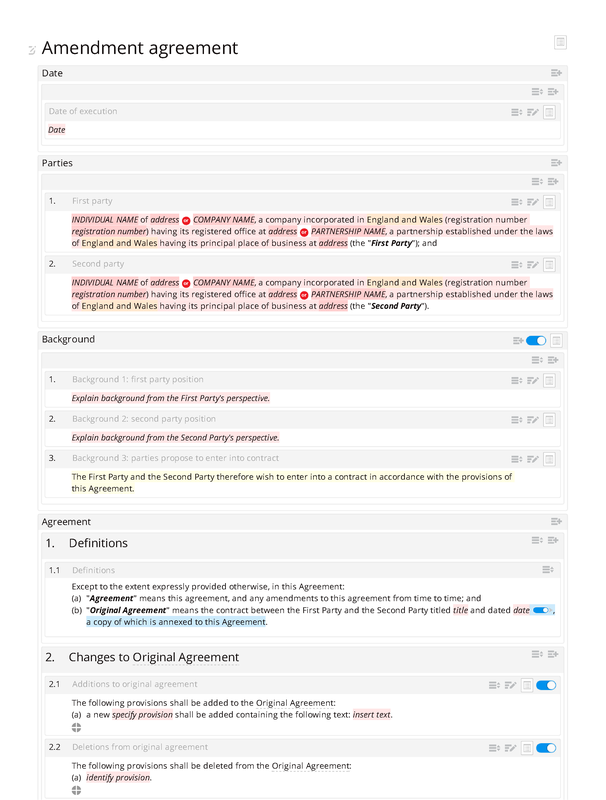 Changes to Original Agreement: additions to original agreement; deletions from original agreement; substitutions in original agreement. Date when changes come into effect: changes come into effect upon date.